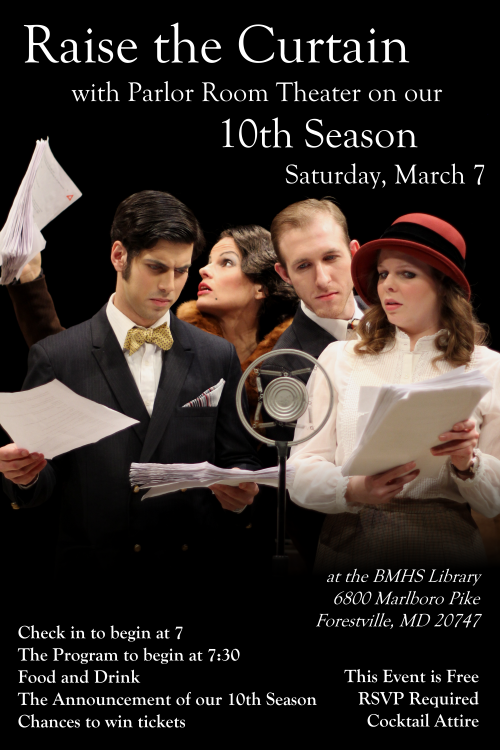 Join us on March 7 as we announce our plans for the 2015 season, PRT’s 10th! We will have food and drink, as well as a chance to win free tickets! Please note, this event is in the Library at BMHS. We will have ushers to guide you to the celebration. If you have any questions, please email us at contact[at]parlorroomtheater[dot]com.